NACA welcomes Dr Huang Jie as the incoming Director General of NACA. He will serve a five year term beginning in May 2019. Dr Huang succeeds Dr Cherdsak Virapat, who will complete his own five-year term in April. Dr Huang was elected at the 30th Governing Council Meeting held 26-27 March in Guangzhou, China. 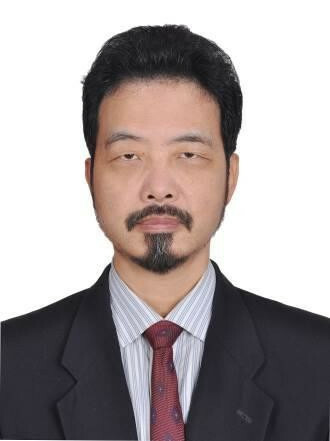 Dr Huang, a Chinese national, obtained his BSc on virology in Wuhan University in 1987, an MSc in the Wuhan Virology Institute, Chinese Academy of Science (CAS) in 1990, and his PhD on marine biology in the Ocean Institute, CAS, in 2010. He is a Senior Researcher of the Maricultural Disease Control and Molecular Pathology Laboratory, Yellow Sea Fisheries Research Institute, Chinese Academy of Fishery Sciences (CAFS); the Chief Scientist of CAFS on aquatic animal disease control; an OIE Designated Expert for White spot disease (WSD) and Infectious and haematopoietic necrosis (IHHN); and a doctorial tutor for Shanghai Ocean University. Dr Huang has been conducting research projects on the diagnostics, epidemiology, molecular mechanism of virus infection and control technology for WSD and other aquatic animal diseases for 26 years. He identified a new virus, HHNBV (previous named WSSV), as the pathogen of WSD in China in 1993 and reported the transmission route of the virus. His research group has discovered several new viruses, new genotypes, or new emerging diseases in marine farming industries of China, including Turbot reddish body iridovirus; Acute viral necrotic virus in scallop; covert mortality nodavirus in shrimp; a new genotype of Yellow head virus (YHV-8) in shrimp; an earliest identified virulent strain of Vibrio parahaemolyticus in shrimp causing acute hepatopancreatic necrosis disease (AHPND) in 2010; Shrimp hemocyte iridescent virus (SHIV), and a virulent strain of V. campbellii causing AHPND. His laboratory has established a series of detection techniques, including gene probes, PCR, LAMP, and gene chips, for different aquatic animal pathogens and national standards for shrimp diseases diagnosis. They have also developed rapid detection kits for more than 20 aquatic animal pathogens, non-specific immunoenhanceants and probiotic bacteria for shrimp disease prevention, microorganism-enhanced biofloc technology for aquaculture, and marine fish vaccines for V. anguillarum and Edwardsiella tarda. Dr Huang proposes the concept of microbiological control technology to prevent aquatic animal disease and actively promotes the concept of biosecurity systems for the aquaculture industry. Dr Huang has more than 330 publications of which 80 were published on international journals, has obtained 48 patents, published 30 national or professional standards, won 13 national and provincial awards, and trained 94 doctoral and masters level students. He won the Distinguished Expert for TAISHAN scholars of Shandong Province, the Excellence Talent and Innovation Team for Agriculture Research, and holds other national, provincial and ministerial honor titles.